Etude House's Real Powder Cushion SPF50+ PA+++ was launched just a few weeks back, and this isn't your typical BB cushion - instead of being all liquid-y and dewy like most BB cushions, what's interesting about this is that it claims to dry down to a powder. 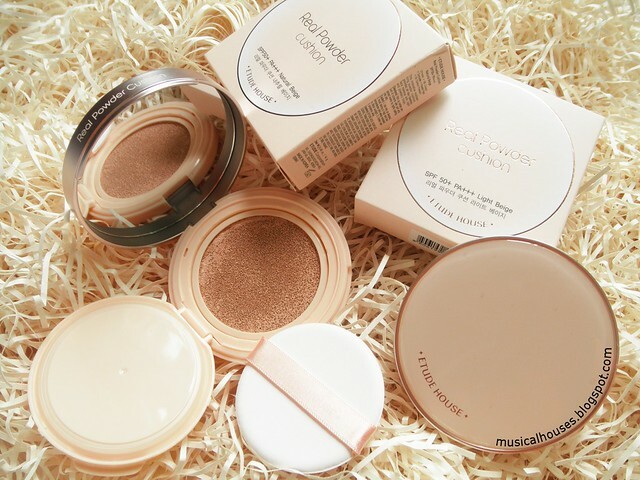 So essentially, it is a cream-to-powder cushion, which is pretty unique. Certainly there are existing matte cushions out in the market, but as far as Etude House products go, I do believe this is the brand's first attempt at putting out a matte cushion. I'm happy about that - I always love more options. I've been getting quite a bit of interest in this product, so I thought I should hurry up and do a review on it. Here in Singapore, we have 2 shades, Light Beige, which is the lighter shade, and Natural Beige, which is the darker shade. 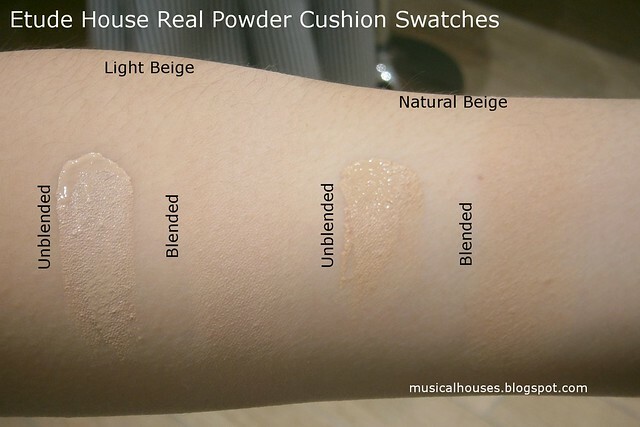 Online though, I've seen a third shade, Honey Beige, which would be darker than Natural Beige. So let's get started with the review. We'll do my favourite thing first and look at the ingredients in the product, and then move on to the swatches and review proper! The ingredients are emollients (Butylene Glycol Dicaprylate/Dicaprate, Isopropyl Palmitate, Ethylhexyl Palmitate), the sunscreen filters that give the product its SPF claims(Titanium Dioxide, Zinc Oxide, Ethylhexyl Methoxycinnamate), and some film fomers and silicones (Methyl Methacrylate Crosspolymer, Dimethicone) which help the product to sit nicely on the skin. There are also absorbents (Boron Nitride), thickeners, stabilizers and binders (Dextrin Palmitate, Microcrystalline Wax, Polybuten, Triethoxycaprylylsilanee), dispersants (Polyhydroxystearic Acid), and a few emulsifiers (Glyceryl Caprylate, Lecithin, Stearic Acid, Isostearic Acid, Polyglyceryl-3 Polyricinoleate), almost all of which also have emollient properties. Lastly we have pH adjusters (Aluminum Hydroxide), preservatives (Ethylhexylglycerin), (colour pigments (Iron Oxides), and scent (Fragrance). So from the ingredients, we can see that this is a product that has some emollients, so it isn't quite "matte" like a powder, but the presence of some absorbers and film formers is probably what gives the product its "powder" effect. You can't really tell from the way I'm listing the ingredients just by their assumed primary function, but quite a lot of them are also selected for their nice and fairly dry (as opposed to oily) skinfeel, which I guess helps enhance the "powder" experience of the product. Even things like emulsifiers and emollients are chosen to have a pretty nice texture on skin. I also like that there are the two physical sunscreen filters present (Titanium Dioxide and Zinc Oxide), which means that the UV protection will be more stable, although the last UV filter, Ethylhexyl Methoxycinnamate, does degrade over time. Interestingly though, one of the emulsifiers (Polyglyceryl-3 Polyricinoleate) is also noted by a supplier for its stability against radical oxidations which should contribute indirectly to the sun protection via an antioxidation effect. I never really recommend that people rely on makeup for their sun protection - and I have a whole post on sunscreen tips that explains why - but I suppose if you had to rush out with only a few minutes to put your face together, this would definitely be better than nothing. So, now that we've looked at the ingredients, let's move on to the product itself. The first thing I noticed about the casing is how much slimmer it was than Etude House's (and other brands', for that matter) cushions. This is definitely visibly slimmer. I don't normally pay that much attention to the packaging of the products I'm using, as long as they're sensible (e.g. no putting volatile ingredients in tubs), but I really like how much slimmer this is. Above, on the left, you can see a normal Etude House Cushion - this is the Magic Any Cushion in Lavender, with extra bling that I did in a decoden-inspired fit. 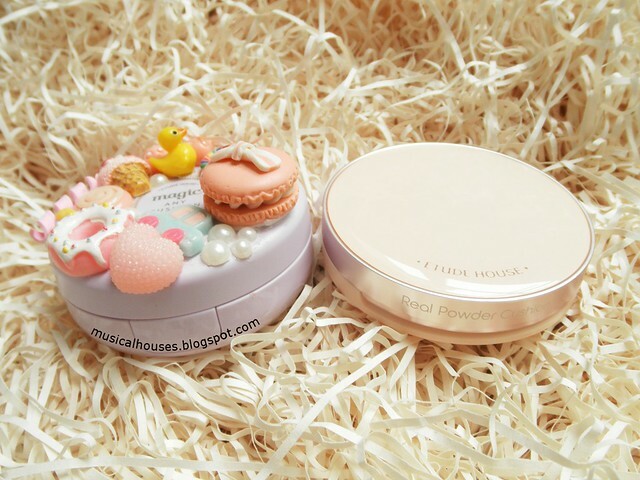 Next to it is the Etude House Real Powder Cushion. You can definitely see it's thinner. 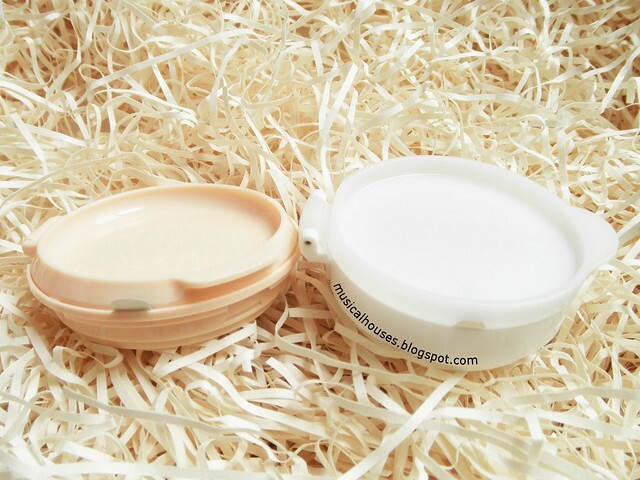 Like most BB cushions, you can also pop out the cushion itself from its casing and get a refill, which is always useful. 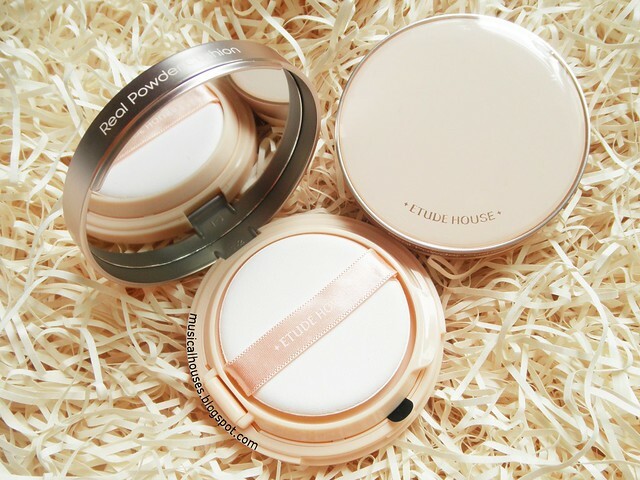 However, the Real Powder Cushion refill is slimmer than the standard Etude House cushion refills, so unfortunately, they're not interchangeable. I was asked about whether a Real Powder refill would fit into a normal Etude case and vice versa, and I'm afraid you can't swap them out. 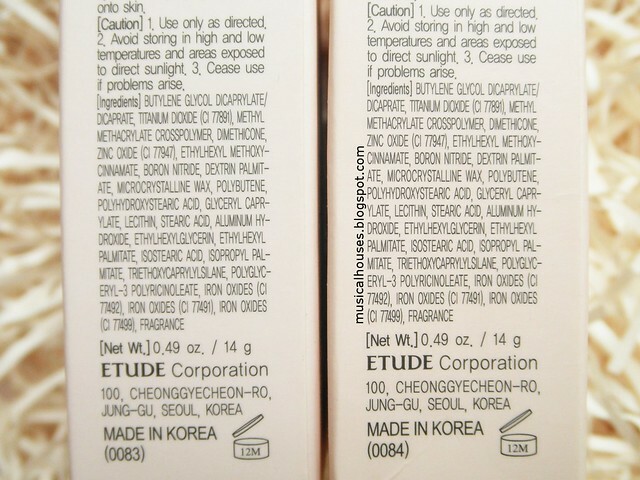 The photo below, with the standard Etude House refill on the right and the Real Powder Cushion refill on the left, should make it apparent - they're of different thicknesses, and have differently-sized hinges. 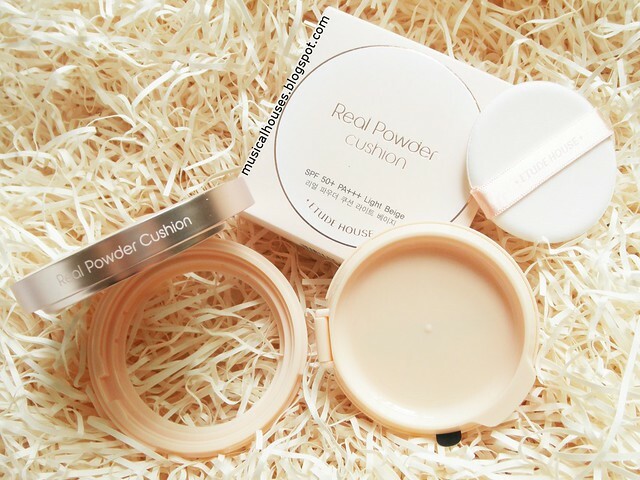 The interesting thing about the Real Powder Cushion is that it isn't quite as "matte-matte" as some of the other matte cushions I've tried. Instead this does remain slightly moist, but does dry down to a powder on the surface. The texture is also slightly different from most BB cushions I've tried. It's thicker initially when applied to skin, as opposed to some BB cushions which really feel more watery, but it dries down fairly quickly to feel less thick. And finally, some swatches! 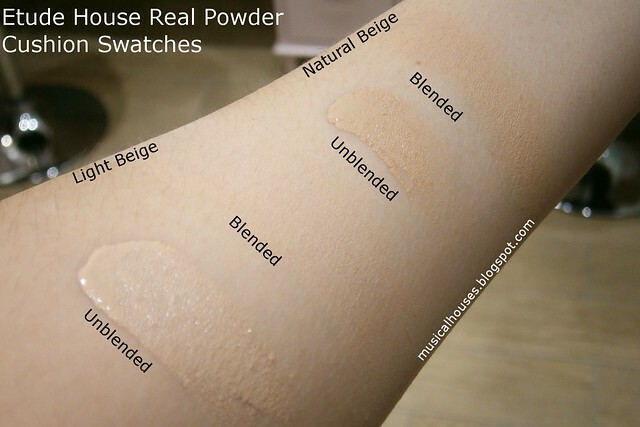 I've swatched Light Beige and Natural Beige. As you can see, Light Beige is a pretty close match for my skin (NC20 in MAC), and Natural Beige is probably in the NC30-ish range, if my not-so-great-MAC-guesstimation isn't too far off. The coverage on this is actually surprisingly good. 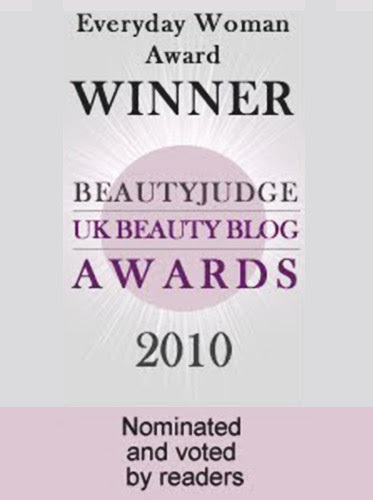 If you only have minor blemishes or discolouration, you might not need a concealer. Below, the same swatches from another angle, just to demonstrate the matte finish when the light hits it. As you can tell, this has basically zero shimmer or glitter, but it doesn't look too powdery or too matte. My best description of it is a soft matte finish. 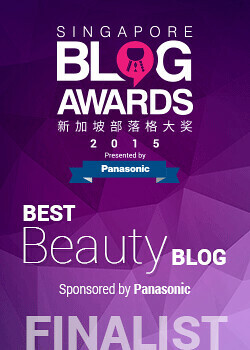 Finally, an FOTD below that demonstrates what the Real Powder Cushion is so good at. I'm using the shade Light Beige, and I wore this without any primer for over half a day. It stayed on without oxidizing or sliding off, and does have some slight oil control properties, but some shine started breaking through towards the last few hours. Also, I had to be careful when touching my face, because any wiping motion does remove the product, so a light blotting action is probably better. I also got compliments wearing it, so that's a plus! Obviously, as you can see from the pretty barefaced look, I was rushing out the door when I was doing this FOTD, hence the very minimal makeup, which I then tried to make up for with a bright red lip. I suppose all the better to see the Cushion, right? Lastly, I just wanted to comment on the ingredients. Normally I'm pretty cautious with products that have Isopropyl Palmitate and Ethylhexyl Palmitate, because while these ingredients are fine for most people, they can be comedogenic for some. And for me in particular, I've used products with high levels of these two ingredients in the past, and these products have broken me out. Fortunately, because these are pretty low down the ingredients lists (in the second half), they're there in very small amounts, and probably wouldn't be an issue for most people. Given the low levels of the ingredients, I wasn't expecting to break out from this product, and I'm glad that I didn't! 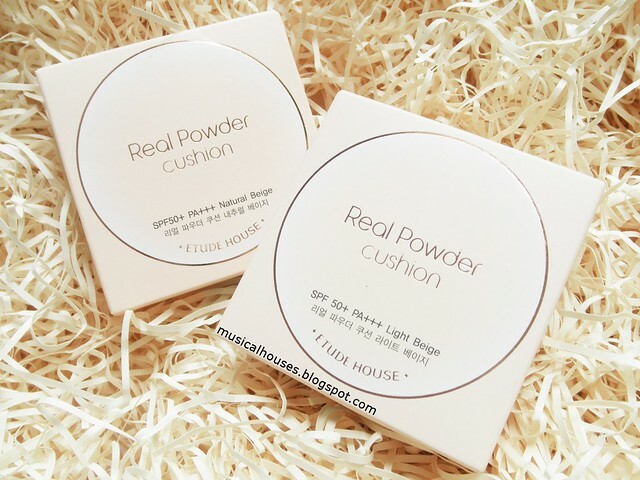 So, would I recommend the Etude House Real Powder Cushion? Yes! I think this worked well on me, for my combination-oily skin in hot weather. 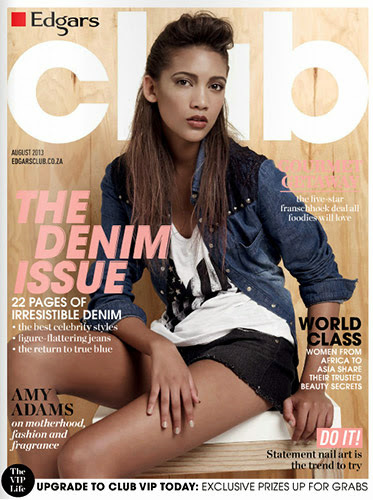 I like the colour match, and I liked the texture and the finish. I also think the lasting power is pretty nice. I'm told that this was specially created for the Southeast Asian market, where the weather is hotter and more humid than in Korea, so this should give you an indication of the type of person and climate it is best for. If you have particularly dry skin, or if your climate is really dry, then I could imagine this being a bit too dry or cakey on you. But on me, it worked really well, so if you have somewhat oily skin, and can find a colour match, this would be worth checking out. At $32, it's worth trying out if you can find a shade match. 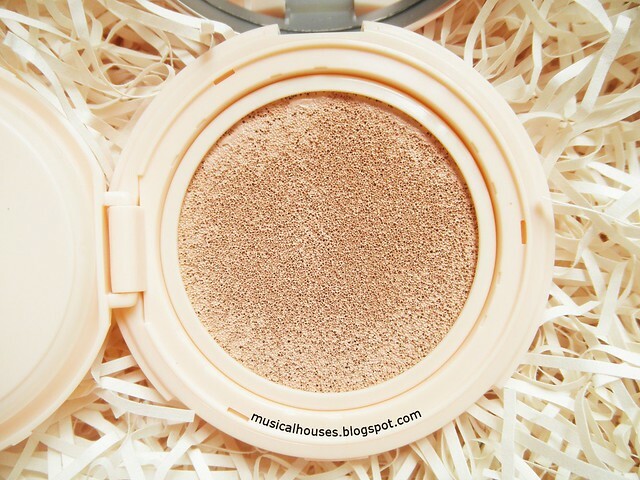 The Bottom Line: Etude House's Real Powder Cushion, specifically targeting the hot and humid Southeast Asian weather, offers good coverage, a semi-matte finish, and decent lasting power. Wow, this is such an interesting product! I really like how this product sounds.. So tempted now! Would you recommend this product to combination/normal type skin that is not oily? 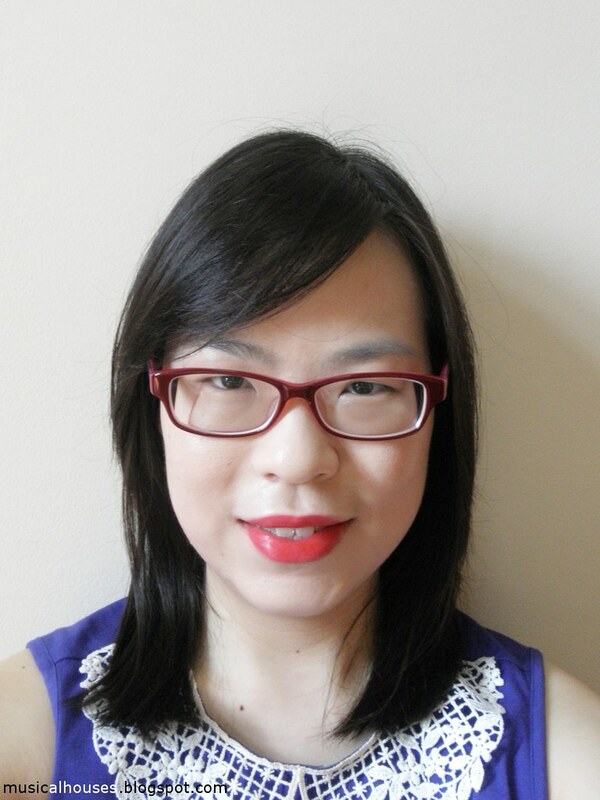 @Sarah Chang: Certainly, if you like a more matte/powdery finish. I think yhe only skin type that's not so great for this would be dry skin, where the powder finish might highlight dry spots or otherwise just not look very flattering. I've been using this for a week and I could say I love its brightening effect. I have combi skin. So far I didn't get any breakouts. 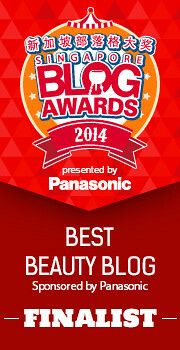 I do get a teeny bit of oil later in the day but blotting paper would help. Thanks for your review! Very informative!